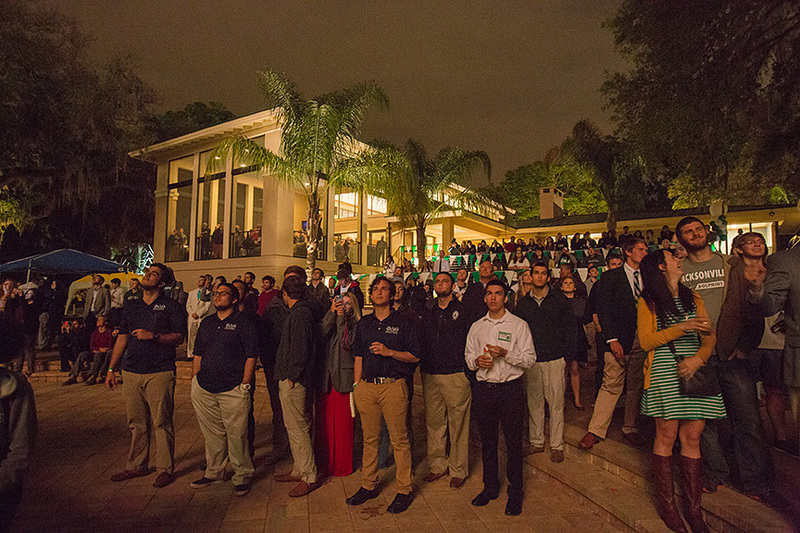 Charter Week 2017 (#JUCharterWeek) recognizing the University’s 1934 origins features dozens of events over the coming week of April 3-8, including a food drive and distribution, Day of Service, hip-hop concert for the JU community, a first-ever JU ArtWalk, a Global Toast, a “Big Green Give” fundraising/service campaign, and a TedX Salon discussing Duval County’s natural water resources. As part of the week each year, the University celebrates its birthday with a Charter Day of Service, featuring hundreds of students, faculty, staff, alumni and friends volunteering for the community, with a special emphasis on Arlington. Meanwhile, the “Big Green Give” (#JUgives) spurs JU alums to give through fundraising or performing service projects in their local communities across the United States. A Global Toast (#JUToast) follows for friends around the world who cannot take part in person. Service projects for this year’s Day of Service Friday, April 7, include a “Kick Plastic Project” with new JU partner and worldwide ocean research nonprofit OCEARCH, in which participants will assist OCEARCH in cleaning around the Jacksonville Beach Pier; a robotics LEGO Education at Fort Caroline Elementary with JU Engineering students and recently announced education partner Renaissance Jax; food sorting and processing for the Feeding Northeast Florida Warehouse; trail maintenance and park cleanup at the Arlington Lions Club Park; baking cookies at Highlands Presbyterian Church to be donated to the 5 Star Veterans Center; and landscaping and more at North Florida School for Special Education. 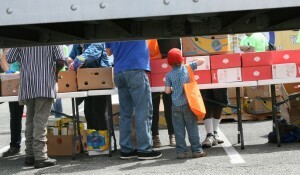 Residents of Arlington receive food distributions from Feeding Northeast Florida’s truck in the JU Gooding parking lot on Charter Day of Service 2016. JU President Tim Cost is encouraging as many participants as possible to sign up for projects by the Friday, March 31, deadline to show the University’s outstanding commitment to its community. See the Schedule of Events for a full list of activities and service projects. 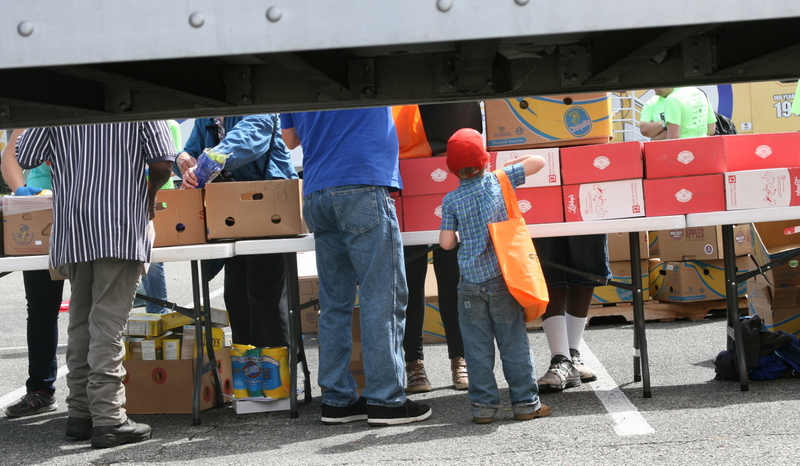 A campus-wide food drive April 3-8 benefiting Arlington Community Services, as well as food distribution to the needy in the community via the Feeding Northeast Florida Mobile Food Pantry, from 9 to 11:30 a.m. April 7 in Parking Lot A in front of the Gooding Building. The 2017 Faculty & Student Symposium April 3-4, featuring more than 200 research projects. An ArtWalk from 7 to 9 p.m. April 3 featuring student and faculty art on the Science Green, presented by JU Phinatics and Dolphin Productions. A TedX Salon on “Water: Duval’s Untapped Resource” from 5:30 to 8 p.m. April 5 in Terry Concert Hall, including discussion by speakers such as Jacksonville City Council President Lori Boyer, JU Marine Science Research Institute Executive Director Dr. Quinton White and Downtown Investment Authority CEO Aundra Wallace. Get tickets here. The Porter Music & Art Festival on Dolphin Green, featuring food, outdoor games, an IHeartRadio DJ, robotics, tailgating, fireworks and hip-hop artists B.o.B and Sammy Adams at Larry Strom Amphitheater on the St. Johns River. 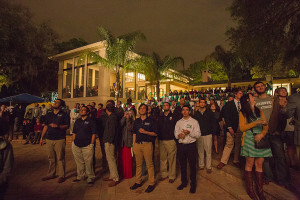 Charter Weekend hosted by the JU Alumni Association for all Dolphin graduates. Events include a Men’s Soccer Reunion Game, Men’s Soccer FootGolf Tournament at Blue Cypress Golf Course, a Football Spring Game at D.B. Milne Field, a Class of 1967 50th and Friends Reunion and a River House Rendezvous. Registration for some activities is required for Alumni. The University has a long tradition of community service, which it now coordinates through its unique Center for Community Engagement. 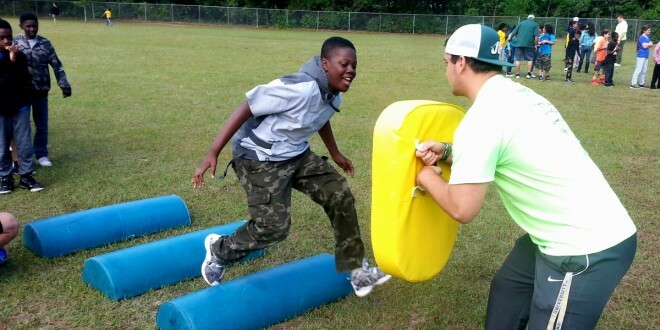 In a typical school year, the Jacksonville University community provides more than 30,000 volunteer hours, with an economic impact of more than $700,000. It also provides hundreds of thousands of dollars in support to charitable organizations through sponsorships and donations. 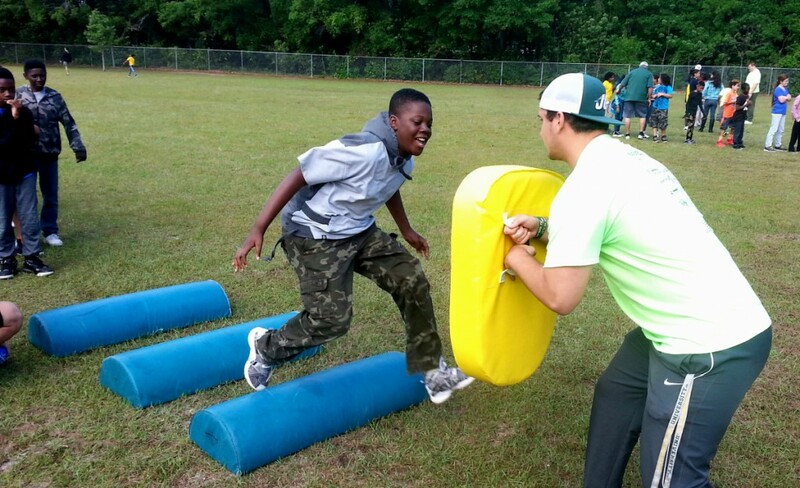 Charter Week is part of JU’s commitment to its community, which also includes its support of Renew Arlington, a joint effort of the City of Jacksonville, JU, community organizations, residents and other interested stakeholders to work collectively for the betterment of Arlington.